Mansa District Commissioner Royd Chakaba has said that the HIV-AIDS drug are being smuggled into the DR Congo where a month’s dosage is fetching up to K5,000. Mr Chakaba said that he made the discovery on a tip-off from concerned medical staff working at some health centres in the district that have suffered suspiciously high depletion of the drugs that are provided free-of-charge from government facilities. Mr Chakaba, inspected the ARVs stocks from three health centres, where he learnt of the discovery. 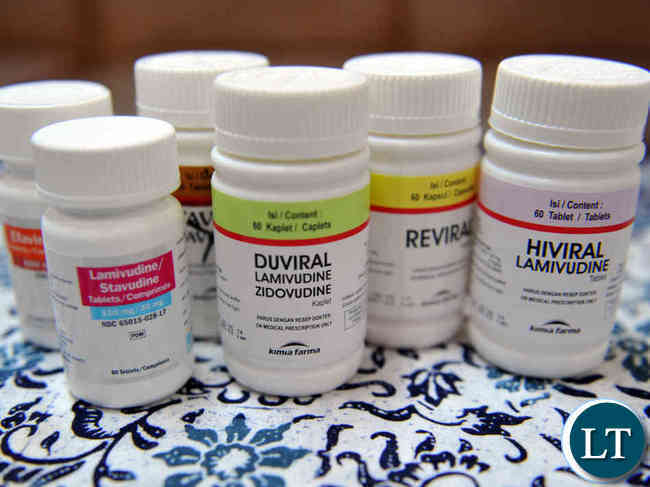 “We have information that some medical staff is stealing ARVs from the clinics, which they are selling in the DRC at K5,000 for a month’s dosage,” he said. The centres checked were, Kaole, Butungwa and Central ART clinics, where Mr Chakaba interviewed pharmacists, nurses and patients. He was told suspected dealers were instructing buyers to return the used bottles so they could be refilled. The smugglers were suspected to be using the border stretch near Chief Matanda’s chiefdom. He bemoaned that the scourge was not only depriving ART patients, but that the Government was losing colossal amounts as the drugs were acquired at great costs. “These ARVs get into this country at a huge cost. Smuggling them does not only deprive patients, but the Government as well which has to keep replenishing stocks,” Mr Chakaba said. He noted that ARVs smuggling to be a new scam after the Government tightened border controls to stop the illegal harvesting of the Mukula tree and smuggling of mealie meal from Zambia into Congo. “Unscrupulous dealers think that now that the Government’s attention to be focused on tracking and monitoring the illegal Mukula trade and mealie meal smuggling, they can switch to something else…to ARVs,” he said. That’s trade amongst Congolese brothers, luapulans are just sharing with their brothers whatever little ARVs they have at small fee. Let trade continue. I have information that it some UPND civil servants doing this! NEZ-YOU ALREADY ON ARV’s, hope you will survive this year! Ponya pasi ni pondepo. This song was banned on Znbc in the 1980s. It was talking about corruption among civil servants especially the police. At road blocks a policeman would ask you to drop money so that he steps on it and pick it up later. Unip didn’t believe this was happening .This is where we’re now when ? of drugs in pharmacies are stolen from government hospitals. Just introduce the firing squad. Are they really being stolen or is there a shortage because we are not paying the suppliers for the drugs. Masalamuso, those of us on ART know that hospitals have supplies of the required drugs as we get our supply every time its due. So stop wishing that govt fails so that your HH could have a chance to be president. Everything is going wrong. Empower the people and all this simple theft will stop. Soldiers (Zambia Army) need to secure DRC & other borderlines from N/W province to Luapula to prevent illegal movement of goods & people to & fro. Instead we have hundreds of thousands of soldiers sitting in barracks getting drunk everyday. The Xenophobia in RSA is being caused by Nigerians, Somalians & Ethiopians, DRC, 90% who have passed through Zambia’s porous borders. In the end it’s Zambians traders/visitors who are suffering in RSA bcoz of sins of other immigrants. At Beitbridge, Zambians are now being given 3-days, or 2 weeks max. if u r lucky, not the automatic 30-days. Go to Namibia, checkpoints near borders are manned by soldiers. No nonsense. Everything under PF government is not working. It looks as if there are cursed by imposing themselves on us. A lot of scandals day in and out no wander the British Embassy has closed though Zambia was colonised by Britain. Ubupuba bwachila we shall be worse than Zimbabwe. This kantemba government run by crooks and thieves Bwafya. Sad news those Doctors should be arrested and prosecuted.